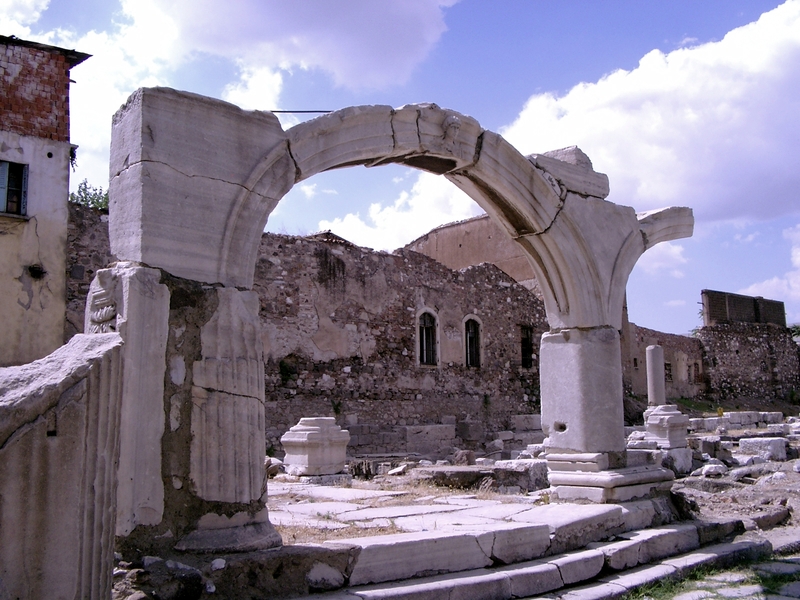 Arch in the Agora of Smyrna. Smyrna (modern name is Izmir) is an interesting site so you may need to narrow your survey a bit. I’ve spent several days there and still did not see everything. You will want to mention the agora and relevance to the NT. Ramsay, Hemer and Graves have identified several local references in the text of Revelation which you should point out. Remember to provide "the historical background of the site (including history of previous archaeological excavations, if any), objectives of the current excavation, progress at the site, and significance of discoveries to biblical study. " Make sure to choose a good encyclopedia, journal articles, and books that specialize in the subject. This will give you a cross section of material. Ramsay, William M. Cities and Bishoprics of Phrygia. 2 vols. Oxford, U.K.: Oxford University Press, 1895. Blaiklock, E. M. "Smyrna" in The Zondervan Pictorial Encyclopedia of the Bible, Vol. 4, ed. Merrill C. Tenney. Grand Rapids: Zondervan Publishing House, 2009. Potter, D. S. "Smyrna (Place). " In D. N. Freedman (Ed. ), The Anchor Yale Bible Dictionary. New York: Doubleday, 1992, 6:73–75. Modified Feb 8, 2016. Copyright © 2016 Electronic Christian Media.